Japan is readying an H-2A rocket for liftoff Tuesday to kick off an audacious six-year roundtrip journey a carbon-rich asteroid, drop a fleet of landers to its surface, collect primordial rock samples, and return the materials to terrestrial laboratories for analysis. 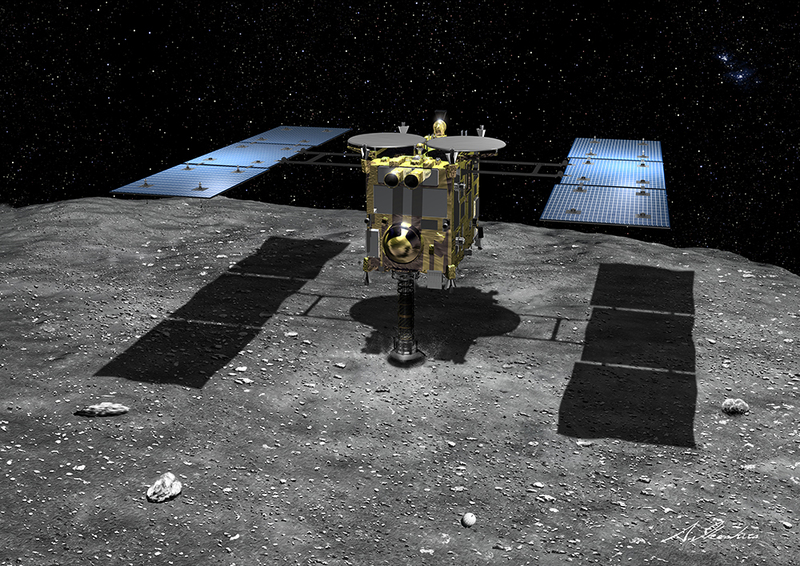 Scientists say the mission is a bigger, better version of Japan’s Hayabusa probe, which overcame a series of crippling malfunctions to land on an asteroid in 2005 and make it back to Earth with microscopic specimens. The Hayabusa 2 mission set for launch at 0422:04 GMT Wednesday (11:22 p.m. EST Tuesday) aims to do the same job, but it carries more advanced instrumentation, multiple landing drones, and backup systems engineers say will reduce the craft’s vulnerability to the problems that plagued Hayabusa. 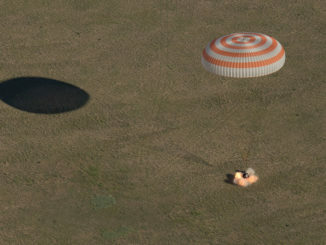 Liftoff is scheduled for 1:22 p.m. local time in Japan. Valued at nearly $300 million, the mission will begin the journey from the Tanegashima Space Center in southwestern Japan. It will take off aboard a 174-foot-tall H-2A launcher, which will rocket into the skies east of Tanegashima and release Hayabusa 2 on a trajectory heading away from Earth at 0609 GMT (1:09 a.m. EST) Wednesday. The rocket is carrying three smaller spacecraft riding piggyback with Hayabusa 2. One of the mini-probes, a 140-pound briefcase-sized craft named Procyon, will test out miniature satellite technologies in deep space and fly by an asteroid — a different object than Hayabusa 2’s target — in early 2016 to take pictures and practice deep space navigation procedures. The other ride-along missions on Tuesday’s launch are a small satellite built by students at Kagoshima University and a probe named Artsat 2, which was commissioned as an art project to dispatch an instrumented sculpture into the solar system with a transmitter to send radio signals back to Earth. 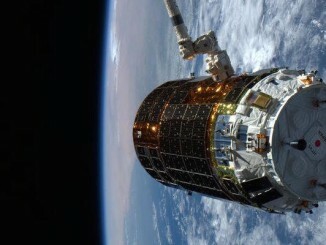 Hitoshi Kuninaka, Hayabusa 2’s project manager at the Japan Aerospace Exploration Agency, said the launch is generating excitement throughout the country. 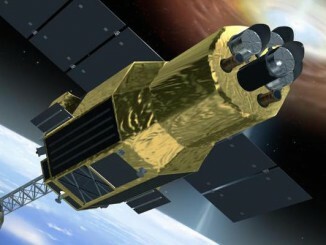 The daring Hayabusa mission achieved many “firsts” in the exploration of the solar system, putting Japan at the forefront of asteroid research. Manufactured with improvements and upgrades to address lessons learned during the Hayabusa mission, Japan’s new asteroid probe will fire up its electrically-powered ion engines in late December to begin driving the craft toward a planned intercept of asteroid 1999 JU3 in June 2018. The spacecraft — weighing in at about 1,300 pounds fully fueled for launch — is fitted with a new Ka-band communications antenna to beam data back to Earth at faster speeds than its predecessor. Before it reaches the asteroid, Hayabusa 2 will swing by Earth again in December 2015 for a gravity assist to slingshot into the orbit of 1999 JU3. Once it arrives, the spacecraft will spend about 18 months in the asteroid’s vicinity to map the object, identify landing sites and collect samples from the asteroid’s surface and interior. Telescopic observations show the mission’s destination is about a kilometer (0.6 miles) across and is rich in carbon, the fundamental building block of all organic life. The asteroid is very dark — reflecting less light than charcoal. Scientists know roughly the size and make-up of 1999 JU3. What is not known is the tiny world’s shape, hazards that could threaten the mission’s sampling runs, and if it has any moons. According to Kuninaka, Hayabusa 2 has a dual purpose of demonstrating technologies for the future of space exploration and basic science. Japanese scientists will try to retrieve three samples from the asteroid — two from its surface and one from inside the asteroid. 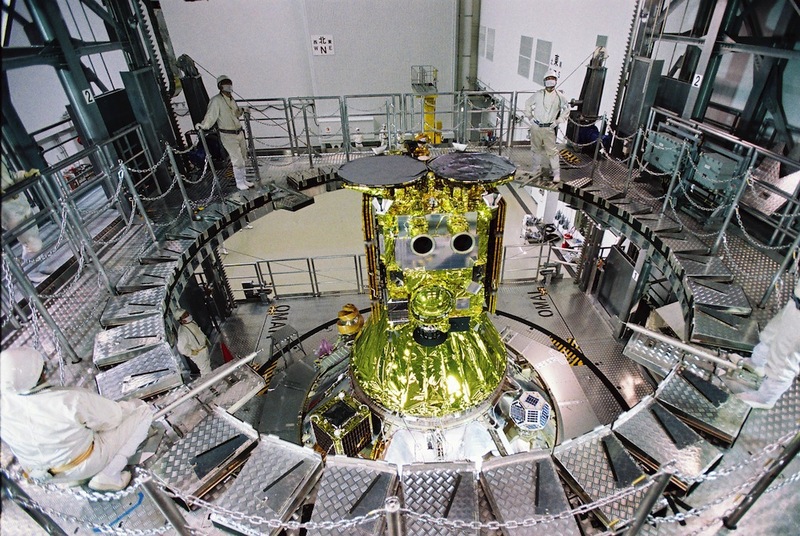 Hayabusa 2 carries four landers, including a 22-pound robot named MASCOT built by the same team that led the Philae comet lander that touched down on comet 67P/Churyumov-Gerasimenko on Nov. 12. The mission is due to depart the asteroid in December 2019. Hayabusa 2’s landing capsule will return to Earth and parachute to a touchdown in Australia in December 2020.